THE TRAGICAL HISTORY TOUR NOW ON YOUR iOS DEVICE! 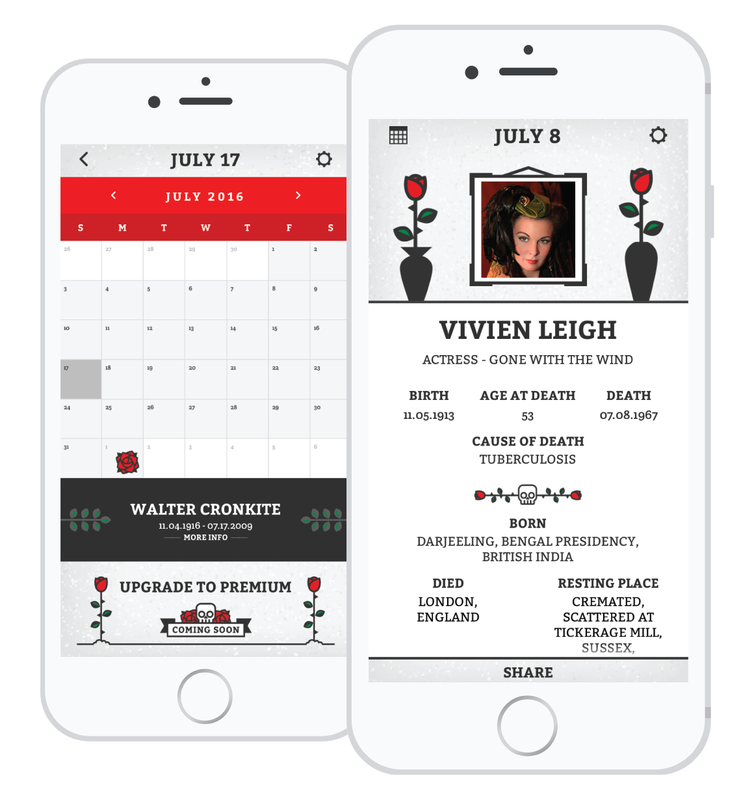 Dearly Departed Death a Day Calendar is a light-hearted look at the Dark Side of Hollywood. 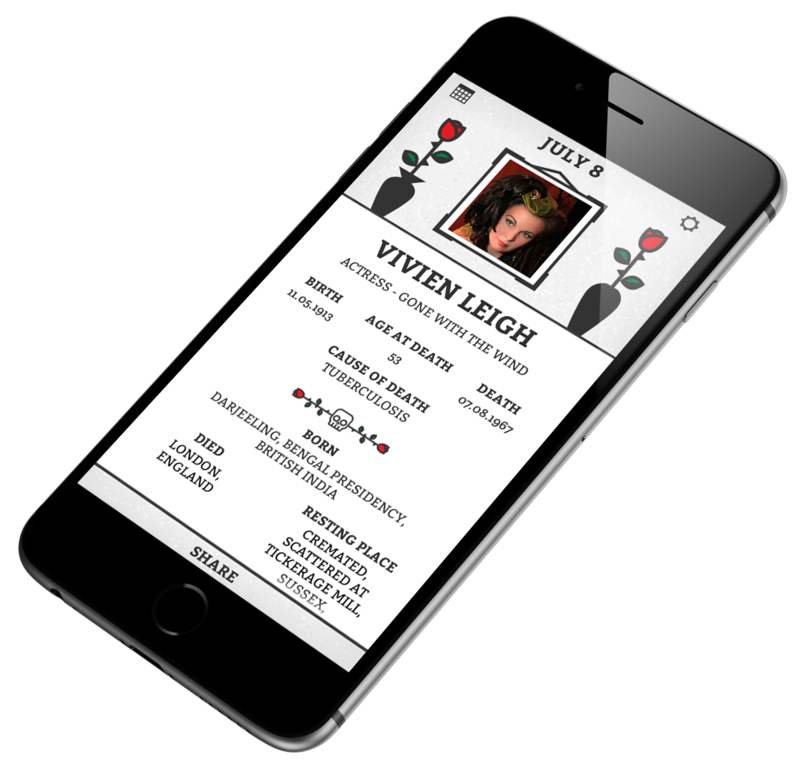 Famous and Infamous people die every day and this app will notify you of a well-known person who died on that day. It’s a daily dose of celebrity death that provides factual details of where the particular person featured on that day was born, how and where they died and where they now permanently reside. The Death a Day Calendar is peppered with odd facts of that particular individual.